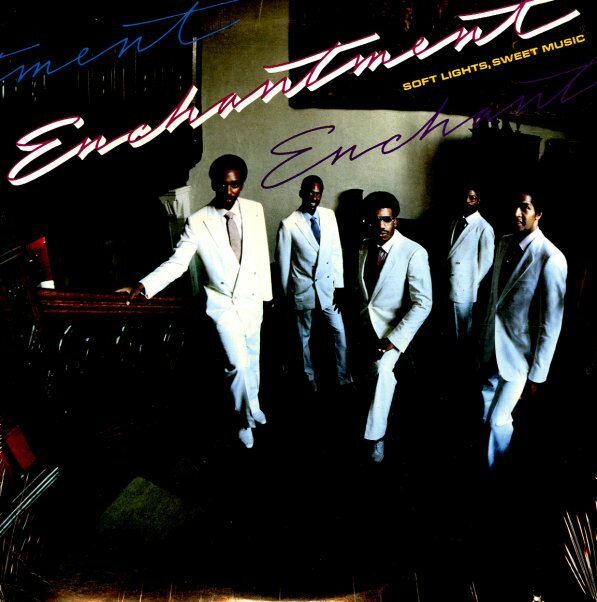 The only RCA album from Enchantment – and a great little set that has the group stretching out from their earlier records on United Artists! The groove here is still awash in the great harmonies we've always loved from the group – and production is by Don Davis, who always has a great ear for preserving the core soul of any act like this – while also helping them focus their sound as well! The mix is quite similar to excellent work Don did with the Dramatics at the end of the 70s – and Enchantment really benefit with a similar ear for a bouncy groove, and that great Davis way of knowing just the right point when to slow things down on an album, too. Titles include "Settin It Out", "I Believe In You", "Moment Of Weakness", "You & Me", "I Can't Be The One", "Soft Lights Sweet Music", and "I Can't Fake It". © 1996-2019, Dusty Groove, Inc.